Hatley Canada has an awesome deal this weekend. 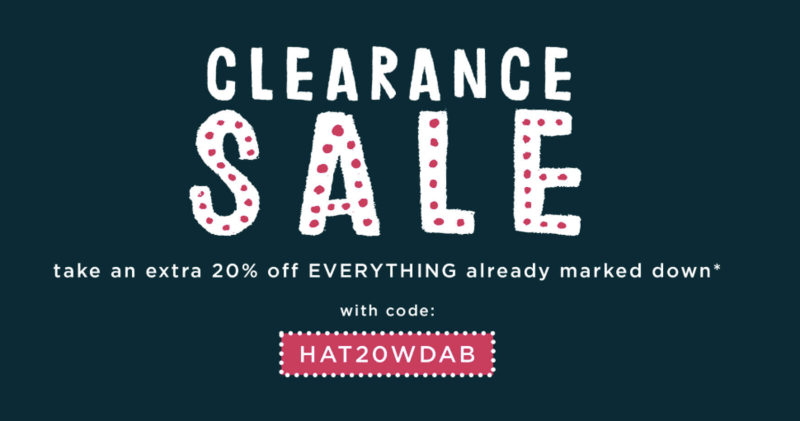 You can save an extra 20% off on everything already marked down, including tops, bottoms, sweaters, outerwear, rainwear, sleepwear and more! Simply enter the promo code HAT20WDAB at checkout. Valid on all items already reduced through February 27th, 2019. Not valid on regular priced items. This offer is valid for a limited time only, while quantities last. This Hearts Microfiber Rain Jacket is on sale for $35.40. When you enter the promo code at checkout, you can save an extra 20% off and pay only $28.32. That’s a total savings of $30.68 from the original price of $59.00! 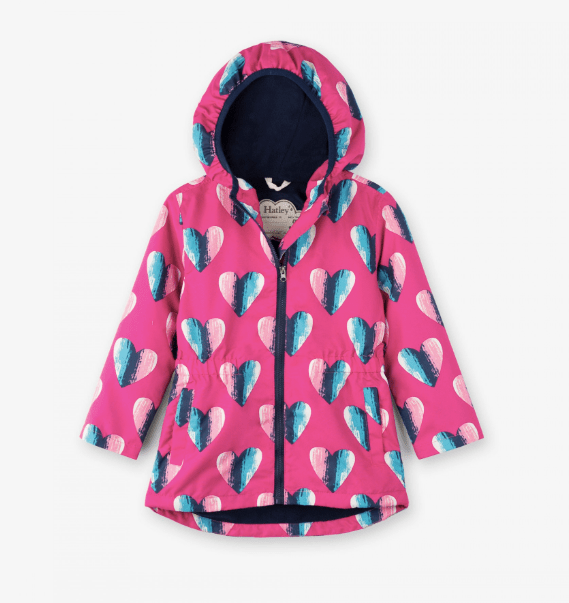 No matter how bad the weather looks, your little one will look great in this fully lined, microfiber rain jacket that zips easily. She’ll look even more stylish with the matching rain boots and umbrella. Hatley Canada offers FREE shipping when you spend over $75 or more.